A modern design touchpad with convenient user-interface to guide in every step of the way. And it actually talks! 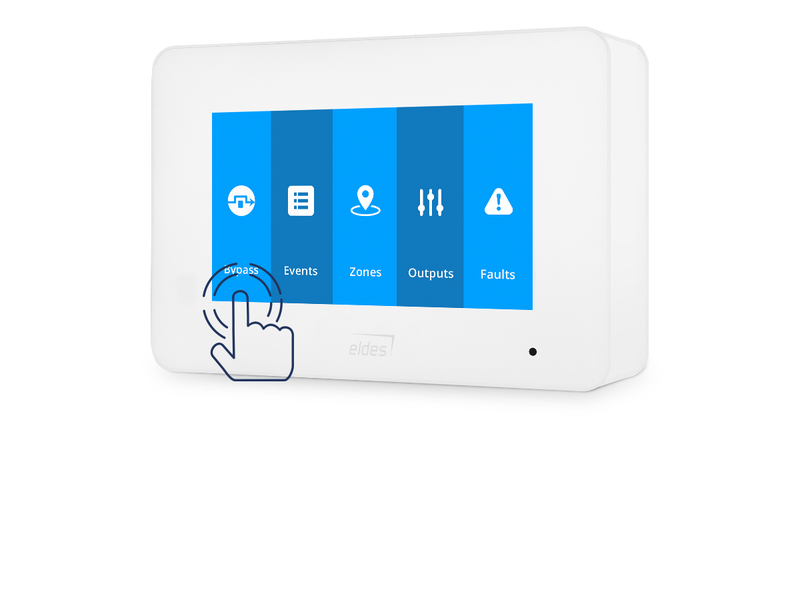 EWKB5 is fully wireless what makes the touchpad extremely easy-to-install, especially in places where wiring is impossible. Optionally, the EWKB5 can be powered up with wire, then batteries will be used as a backup power source. 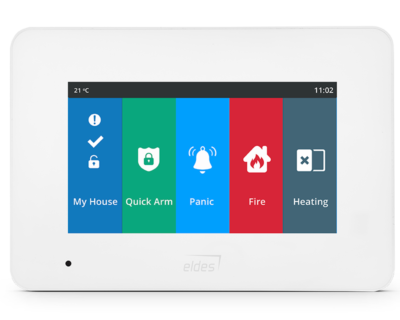 The touchpad can be set up in minutes: add it to the Eldes Security System by one click, mount to the wall and that’s all you need to do! 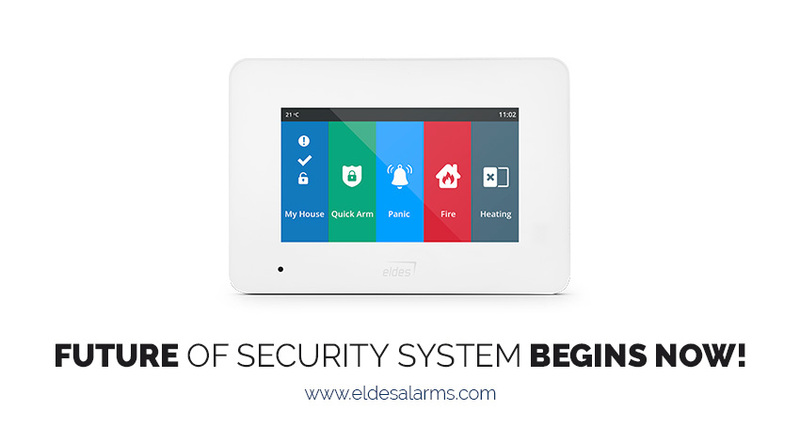 Simple interface and customizable menu makes the control of Eldes Security System easy and intuitive. EWKB5 was rated with the highest ease of use score by independent users, comparing to other top-selling touchpads in the market. Speed, fast response and high-quality touchscreen make EWKB5 the top-class product. 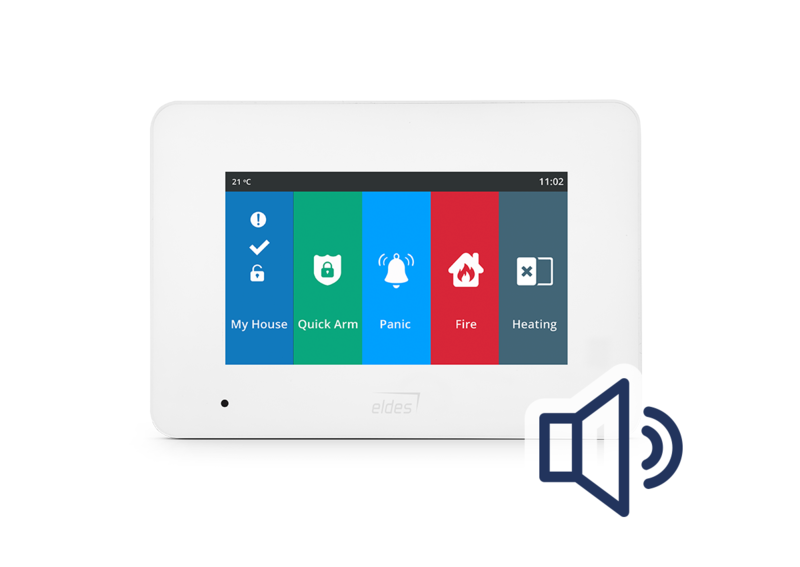 Lovely voice will assist you while using Eldes Security System. You will be greeted, confirmed about arming/disarming the system and informed about remote configuration. The touchpad will alert about the fire danger too. EWKB5 speaks in 8 popular languages which makes the user experience unforgettable. You will see the most necessary information in a main menu daily. 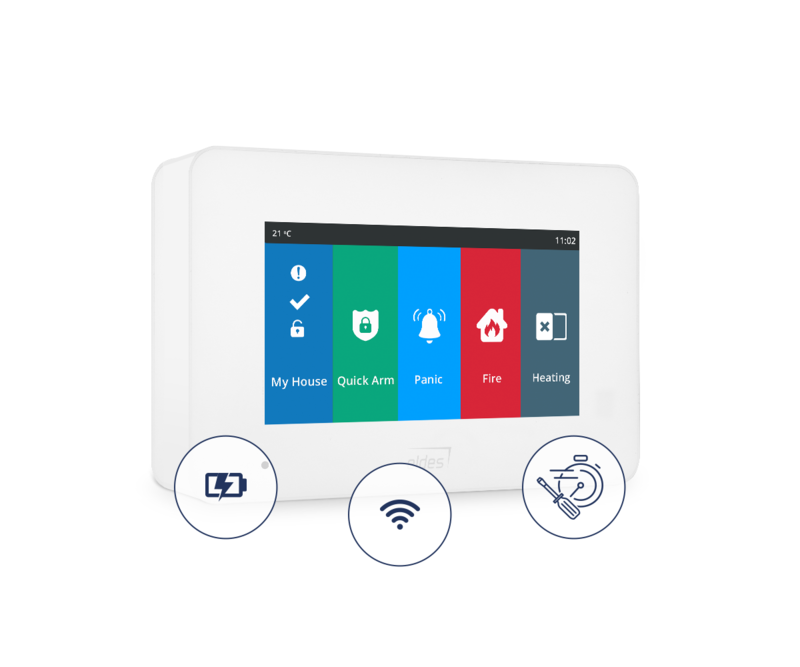 The master menu enables user to configure system settings with additional possibilities. Add/delete users, adjust sound and brightness level, clear event and fault list information. You can check battery level, wireless connection strength and, most importantly, customize main menu the way you want! Press and hold the RESET button for 10 sec. Watch the red indicator flash several times. Parameters restored to default values. *this operating time may vary in difference conditions.